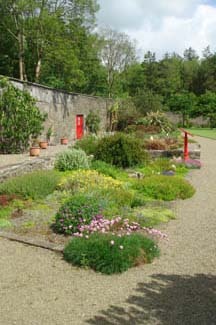 The secret world of the walled gardens at Vandeleur, Kilrush had lain forgotten for years. 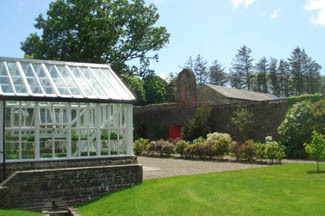 The house belonging to the surrounding 420 acres of wooded demesne was first planted in 1712, the house was burnt in 1887 and finally demolished in 1973. 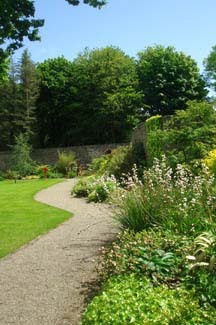 But now, thanks to funding from the Great Gardens of Ireland Restoration Scheme, and to Kilrush Amenity Trust and Kilrush Urban District Council, the gardens have risen again phoenix-like, bringing jobs and tourism in their wake. 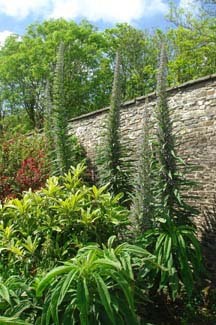 restios, tipped to become popular plants of the future and other rare and tender plants. 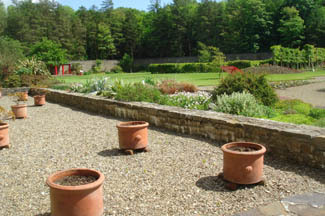 Opened in 2000, the garden has unusual water features, a horizontal maze and a tree collection. With woodland trails riverside views, a visitor centre, restaurant and gift shop, it’s a good place for a family outing and, as it is close to the Killimer car ferry, it could make a day trip if you are based in County Limerick or North Kerry. Coming to Kilrush follow the brown heritage fingerpost signs that lead you through the Town Centre towards Kilimer onto the N67. Just approximately 1 kilometre outside the town you find the road bordered by a high stone wall on the left. After ca. 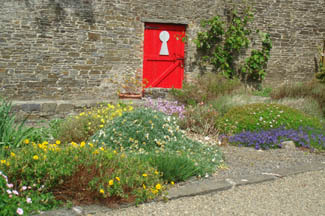 500 metres the entrance to the wood opens to your left with signs advertising the Vandeleur Walled Garden and here you should turn off.